I have so enjoyed bringing all of you my fun summer post series, Southern Belle in the 'Bunk! This was my tribute to my hometown of Kennebunk, Maine. This summer will most likely be my last full summer of living here at home, as I am entering my senior year of college in North Carolina, and planning to live in the South following college. I had planned to keep this series going until Friday, August 14th, but sadly there is just too much going on it my life right now to continue it! I have been working 40 hours every week since coming back from France (including one week of overtime! ), and with leaving for Charlotte in just a few weeks, all of my free time right now really needs to be focused on packing for school and spending time with friends and family before leaving (and scheduling regular blog posts!). As much as I adored doing this series, the posts did take longer for me to write as I wrote in them about both fashion and the locations that I shot at! 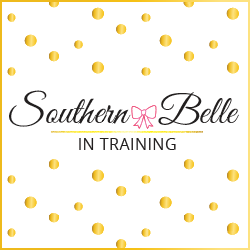 You can still reference any of the posts from this series by clicking on the Southern Belle in the 'Bunk label on the sidebar of my blog's homepage. Also: below are two links to blog posts from Summer 2014 when I shot at two locations in Kennebunk and Kennebunkport that are also scenic and dear to my heart!! I didn't include these spots in the Southern Belle in the 'Bunk series, but I thought I would include the links to these older posts to close out the series. Thanks so much for all of the positive comments and feedback during this series! So glad y'all enjoyed. I hope you have a great college year here in North Carolina! Welcome to NC! I loved reading your posts this summer. What a great summer series! Enjoy your time before moving back! What an amazing series- relax up, now! If you can. I get that summer work grind- my summer life with 2 jobs and attempting to balance a blog,ugh. I hope you love your senior year and take advantage of everything your school has to offer!! Have so much fun your senior year! I thoroughly enjoyed this series -- I have always wanted to travel to Maine and you have just furthered my want to do that with this series. I can't wait to follow along with your last year of college. Loved this series! I'm heading to Biddeford for the weekend tomorrow -- I'm so excited! Aww, I hope you have an amazing year! Even when we leave our homes, they will always be in our hearts! I loved this series, Annaliese! But welcome back (very soon) to Charlotte! Such a great series. I love your dress P.S.! Beautiful dress! You look incredible. Most importantly, have the best year at school! I totally feel ya on the whole being super busy thing. It's the worst the last few weeks before moving back to school! Glad I could get a glimpse into your hometown and have a great senior year! Wow you are looking so beautiful in this dress!!! And good luck for upcoming year...!! GOOD LUCK for your last year! You and me both, sistah. Let's do this! Ahhh, best wishes for your upcoming year! I love that you fell in love with the south and want to stay after graduation. Totally understand why life is too hectic right now to continue the series, but looking forward to your amazing back to school posts! I wish you luck on this upcoming school year. I love NC too, I want to move their after school. good luck for this upcoming school year!